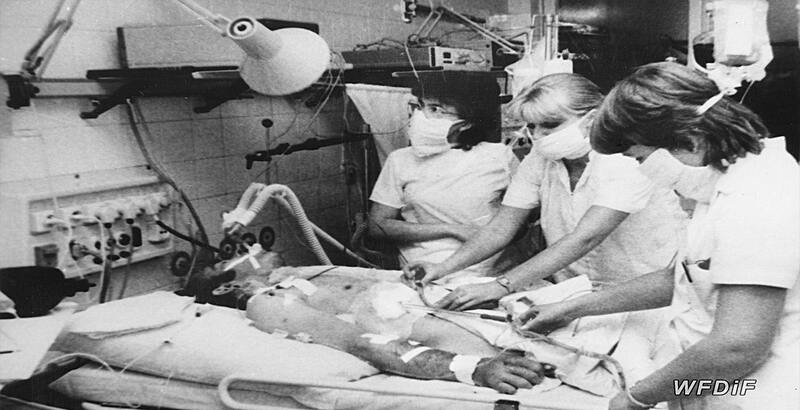 In 1986, Irena Kamieńska visited the Silesian Clinic of Cardiology in Zabrze to offer her viewers with an inspirational story of sacrifice. 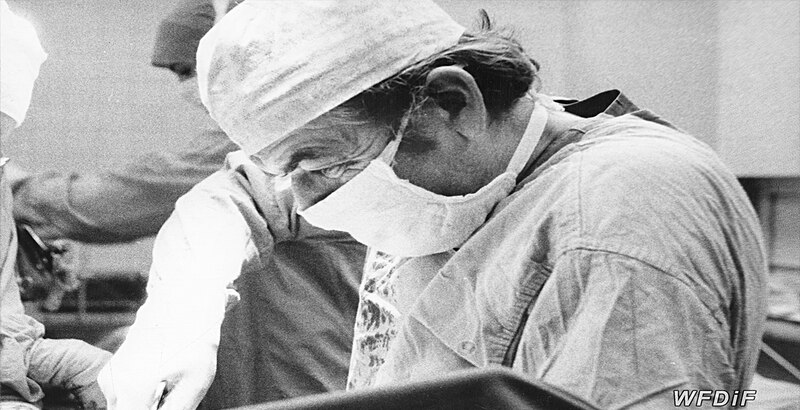 Throughout the film, Zbigniew Religa, an emerging specialist in heart transplants, is presented as someone who faces moral dilemmas and anxiety when he treats patients with his innovative methods. The film opens with observational shots from an operating theatre where we see close-ups of the doctor’s masked face. He concentrates on performing a medical procedure. An uneven, breaking sound of EEG accompanies further shots of his skilled hands. From there, the camera travels through the corridors and patients’ rooms. 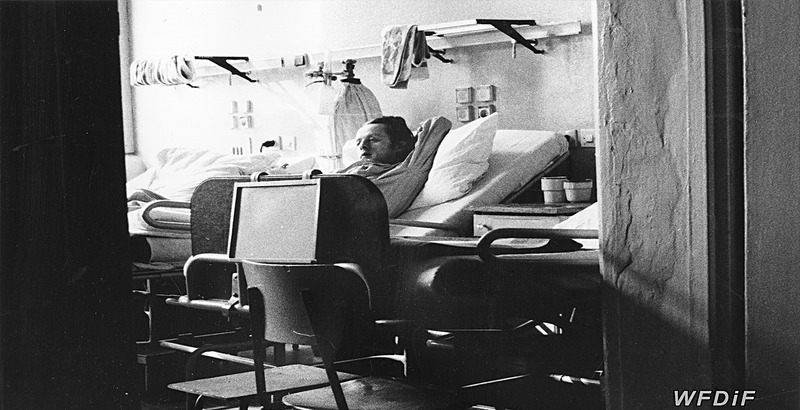 Voices of the sick, the convalescent and the hospital staff play off the screen. They all discuss Religa’s work, not only admiring his medical talent, but also his fearlessness. The doctor is aware of the risks he is taking though. When he walks down the hospital corridor, we hear him referring to his profession as ‘a crown of thorns’ and ‘a horror’. 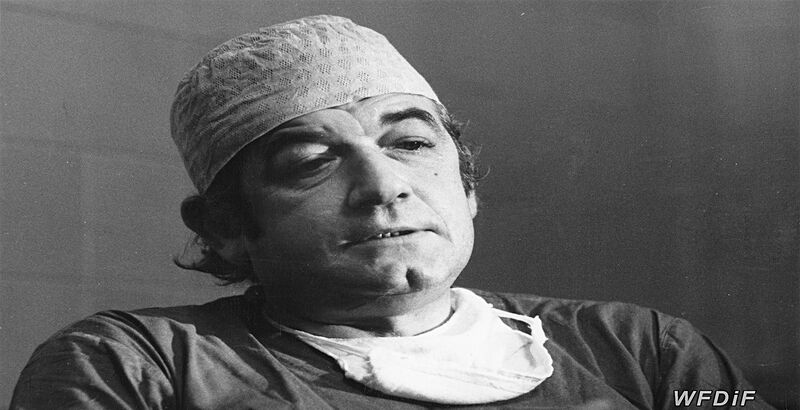 Despite a series of surgery failures, with a few of his patients having died shortly after their operations, he is depicted as someone who has trust in the future. His optimistic outlook matches his determination. Similar dedication to the job also transpires when Kamieńska’s portrays the rest of the hospital personnel, many of whom sacrifice their personal lives to support the surgeon. His gentle nature and courage turn him into a charismatic figure, whom patients worship with admiration. Kamieńska further foregrounds Religa’s commitment to his patients’ health in the last memorable sequence of the film, where we sit face to face with Religa, as he smokes his cigarette. Just before the film ends, he gently smiles to an off-screen voice of a former patient saying, ‘And I was happy that I was alive’. On Open Heart encourages the audience to believe not only in the eventual success of Religa’s trials but also in human goodwill. It injects viewers with a dose of optimism, which at the time of its production has been fading among the people of Poland, as best portrayed by Tadeusz Pałka in his ironically titled observational documentary Hope/Nadzieja that was made only a year later.